Mental Illness Is Not a Four-Letter Word. Know the Warning Signs. The thing is, it could happen. You might be surprised to learn just how common mental disorders are; an estimated 54 million Americans suffer from some form of mental disorder in a given year. There is hope, and there is help for coping with mental illness. Mental illness is not a four-letter word. A mental illness is a disease, plain and simple — one that causes mild to severe disruptions in thought or behavior, and can inhibit the sufferer’s ability to meet life’s ordinary demands and routines. The American Medical Association recognizes more than 200 forms of mental illness, the more common of which are depression, bipolar disorder, dementia, schizophrenia and anxiety disorders. Such illness can be caused by, or related to any number of factors such as excessive stress, genetics, biochemical imbalances, or a combination of these things. A patient can often be treated to full recovery with the aid of an experienced Washington DC psychotherapist. 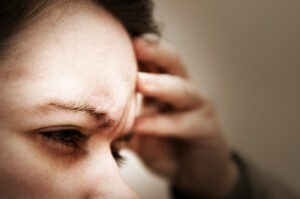 What are the warning signs of mental illness? There are a number of physical and psychological signs that may indicate the presence of a mental illness. It’s especially important to pay attention to sudden variations in thoughts and behavior; review the lists of potential signs below, but keep in mind that it’s the onset of drastic change that might indicate a serious problem. If you or someone you know is in crisis now, seek help immediately. Call the experienced psychotherapists in Washington DC and Bethesda, Maryland for guidance and mental health counseling.